This panel series interrogates disruptions and continuities in Africa's connection with the global economy, taking the work of the late Amin as an intellectual point of departure, both theoretically and/or methodologically. Sixty years ago, a young Samir Amin finished his PhD dissertation, which applied Marxist principles to the global economy. From this was born the dependency theory. With the rise of neo-classical economics in the 1980s, dependency theory became marginalised and was ultimately cast aside despite its popularity in the mid-20th century, particularly in the Global South. Is Samir Amin's dependency theory relevant in this day and age especially with regards to the African experience? This panel series interrogates disruptions and continuities in Africa's connection with the global economy, taking the work of the late Amin as an intellectual point of departure, both theoretically and/or methodologically. We seek papers that examine how the structural conditions, both internally and those imposed by the global economy have changed, for example with the intensification of financialization, the rise of China and with the increase of populism internationally. Can Amin's contribution to dependency theory and his notion of delinking be fruitfully rethought within these changing contexts? What are alternative and new forms of dependency theory that have emerged since its initial inception? Do(es) dependency theory(ies) still have any relevance for understanding the place of Africa in the global economy? 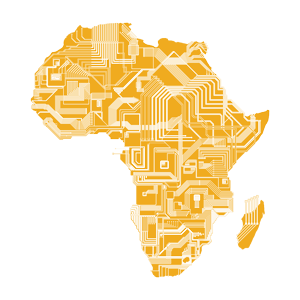 What connections and disruptions have been made in the understanding of Africa's underdevelopment? This panel invites papers that engage with the intellectual openings provided by Samir Amin's work, including Eurocentrism, and the relationship between theory and political practice. Panelists will also be invited to submit their papers for consideration in a festschrift on Samir Amin.